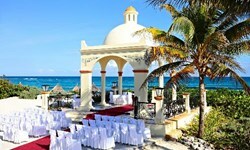 Grand Bahia Principe El Portillo - Wedding Venue and Packages | The Future Mrs.
Say "I do" under the Sun Weddings, honeymoons and vow renewals are remembered as the happiest days of our lives. Bahia Principe puts all its experience, professionalism and finesse at your service to guarantee the success of these important and unforgettable moments in the company of family and friends. No worries, no stress. 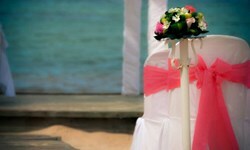 At Bahia Principe we take care of everything and organize the event with the utmost care and attention. 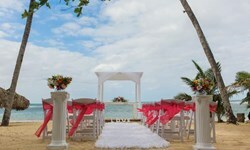 You only have to choose a destination and the wedding package that best fits your needs (civil ceremony, symbolic ceremony, vow renewals, etc.). 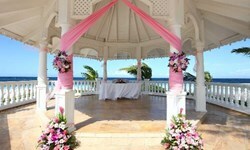 Our staff and exclusive services will treat the couple and their guests with special attention. Imagine a Caribbean beach, a dream room with spectacular views, exquisite cuisine, wellness treatments, intimate and special moments. Whichever option you choose, you will be the stars of an unforgettable day.